What's better than homemade ice cream? How about letting your kids make it? Brody loves being able to make his own ice cream. It's super easy to make and because it's mixed in plastic bags it doesn't make a big mess and there isn't much to clean up. 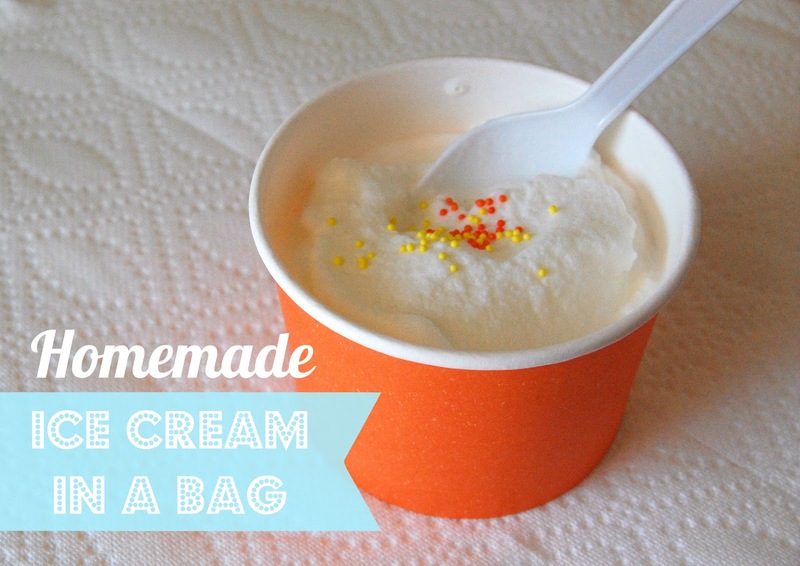 It's a great activity, to send the kids outside to make their own ice cream in a bag and in the end they get to eat yummy ice cream! Instructions: place half & half, vanilla and sugar in a quart sized ziplock bag. Make sure bag is closed. Place quart sized bag in a gallon sized ziplock bag. Pour rock salt in the gallon sized bag and fill 1/2 way with ice. 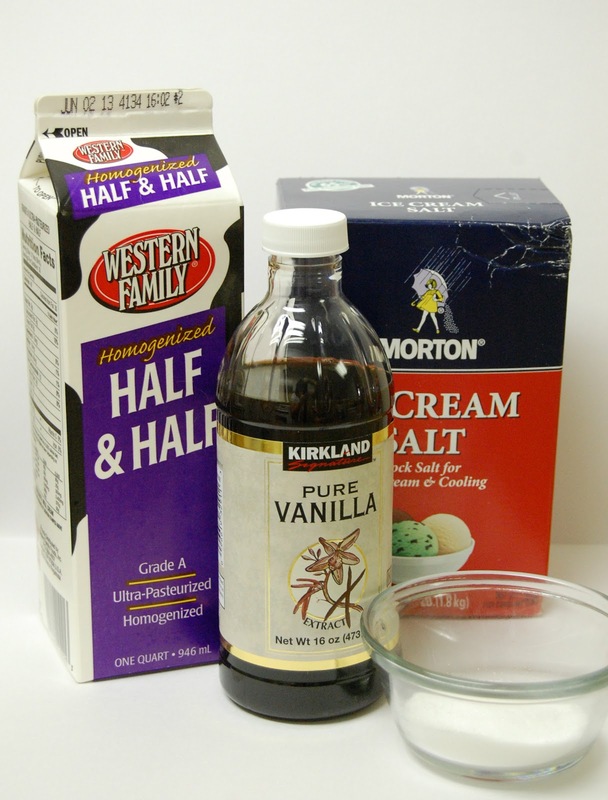 Close bag and shake until the mixture hardens. Take the small bag out of the larger bag and enjoy! You can eat right out of the baggie or pour into a cup. Don't forget to add sprinkles or toppings. Oh, my little ones will love this. Perfect activity for those hot summer days. Oh!Fantastic, i think it is survive me from summer days.